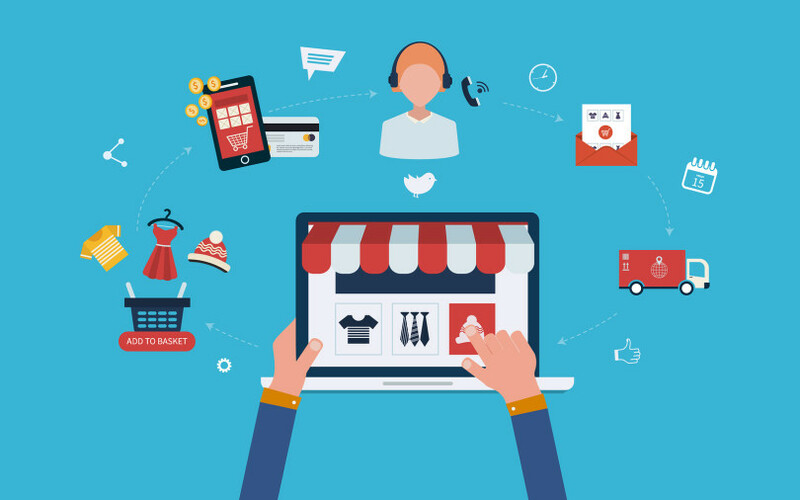 An eCommerce business has several advantages over a brick and mortar store. This is one of the main reasons why there are already so many exclusively eCommerce businesses as well as many brick and mot ar store with eCommerce websites. Here are a few statistics and facts that help display the current trends. Ecommerce sales in 2011 was $308.64 billioin in the USA. This figure was at $493.07 billion in 2015. It is 7 times harder to make a new customer than to retain an existing one. An estimated 89% of online shoppers will never buy from an online store if they have experienced poor customer service. On the other hand, customers do mention it to others if the receive good customer service. This is of great advantage, because word of mouth is powerful. Online shopping is no longer limited to the few big stores online. The average internet user is prepared to purchase from other smaller eCommerce websites as well. A greater number of online visitors now use their mobile devices to access the Internet. Hence the general trend when it comes to the mobile platform is to either develop the website with the mobile platform in mind or have a special mobile app. Visitors to your eCommerce store online are usually pleased to be treated with a personalized experience. Content has proven to be important time and time again. Including videos in the content that showcase the product and help to better demonstrate it are also growing in popularity. Once a customer does make a purchase they usually like to have their items delivered really fast. Hence, providing multiple shipping options from very fast to normal pace is growing in popularity. The importance of Social Media has increased many fold in recent years. It is amazing how fast and effective this medium is for marketing. Trusting Alakmalak for your eCommerce web development company in India. They established themselves as an web development solutions provider in 2006 and since then have been offering several web development services. The web developers at Alakmalak are highly skilled and have a state of the art facilities and infrasture at their disposal. They successfully launched a large number of websites and continue to do so.